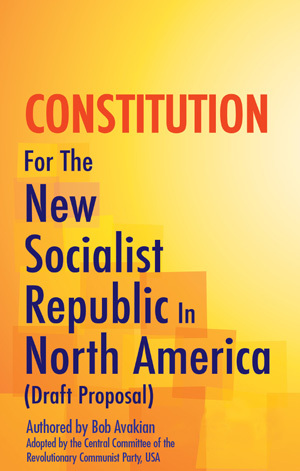 This excerpt comes from Chapter II, "Socialism and the Advance to Communism: A Radically Different Way the World Could Be, A Road to Real Emancipation," from the section titled "The Constitution for the New Socialist Republic in North America—Solid Core with a Lot of Elasticity on the Basis of the Solid Core." 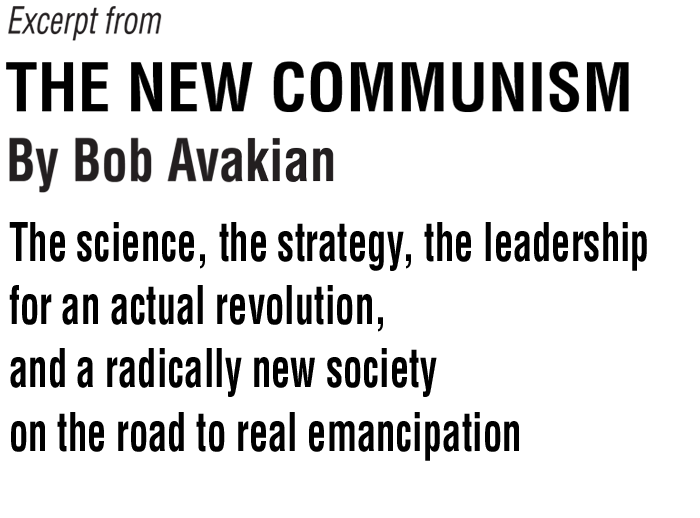 A previous excerpt, published in Revolution issue #426-427 and available online at revcom.us, came from the opening section, "Introduction and Orientation," and from Chapter IV, the part titled "The Cultural Revolution Within the RCP." One of the things that should really be understood about this Constitution for the New Socialist Republic, in most fundamental terms, is that this Constitution is dealing with a very profound and very difficult contradiction: the contradiction that, on the one hand, humanity really does need revolution and communism; but, on the other hand, not all of humanity wants that all of the time, including in socialist society. So this Constitution is set up to provide the basic methods and means to deal with that contradiction. You don’t just have a popular vote every few years that is set up in such a way that the result is that one day you have socialism, the next day you go back to capitalism, and then you try to create socialism again—which would be impossible, because then you’d get everything bound up with capitalism back, and once again you’d have to go through everything you had to go through to try to get to the point of overthrowing the capitalist system. And, frankly, nobody’s going to support that kind of idiocy. 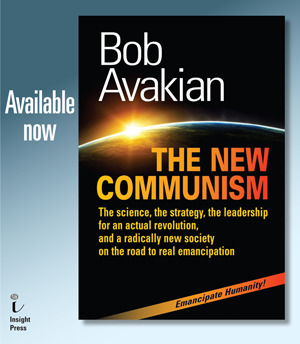 So, at times, a lot of the people may want to be going in a different direction, but you’ve got the institutional means to keep the socialist system going toward the ultimate goal of communism, unless overwhelmingly the people are against you; but, at the same time, this Constitution is constructed in such a way that you have to repeatedly win the masses of people to fight to stay on the socialist road. You need to get to communism, but you’re not going to get to communism by putting guns in the backs of the people and force-marching them to communism. You have to continually win them to that, fighting through all the contradictions that get posed, including the ones that the enemies put in your way, or accentuate, in order to turn the people against you.